Well all you require to do to get started is upload a photo of your face and capture a new photo. Once you are done with that the fun part starts. Put your photo in a T-shirt or tattoo. This tool claims that it uses face detection technology for identifying your face in a photo and placing it in a new fun context. Well honestly, the photos created have a very high quality. The created photo does not have any watermark so you can use them easily. It also has a Facebook app that can be used to make funny photos using your uploaded photos right inside your Facebook account. You also have the ability of uploading created photos to your Facebook account and sharing them with your friends. 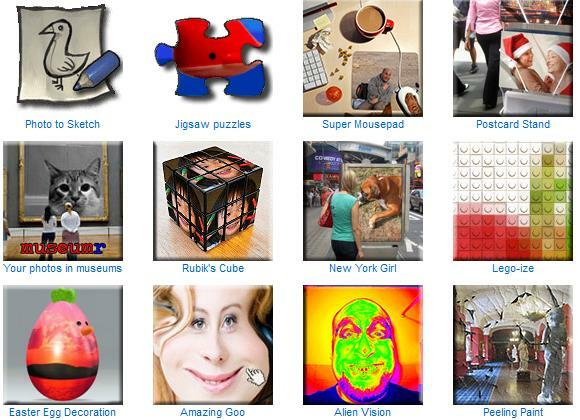 It is an online photo editor which has many photo effects to pick from. The photos created have a very high quality. This tool also uses photo filters to make your photos look natural. A cool feature named “face effect” (face in a hole) is also present using which you can put your face in to make it look like you are standing with a celebrity or you are the star in a famous movie poster. 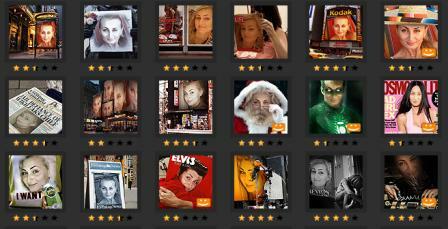 Face effects have categories like “movies”, “celebrities, “costumes”, “kids” and “sport”. This awesome tool also allows you to make avatars and frame your photos. You can create a card, photo montage, magazine cover or face in a hole photos. The quality of the created photo is a bit lower than that of the photo created by using the two tools mentioned above. And this tool also puts a small watermark to the photo. But it offers a great variety of photo effects. It is also amazing in creating fake magazine covers. You can add your picture to the magazine cover and text of your choice. 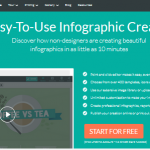 While not all of templates are free, still there are enough to choose from. Lovely tool and it does exatcly what it says in the image below. Which fun photo editing tool do you use? Please share in the comments! Thanks for the info. Now I can download these tools happily!! Thanks man..It is really funny and right now I am uploading one of my photo at Photo505. This is really cool!!! But are they all free? ?